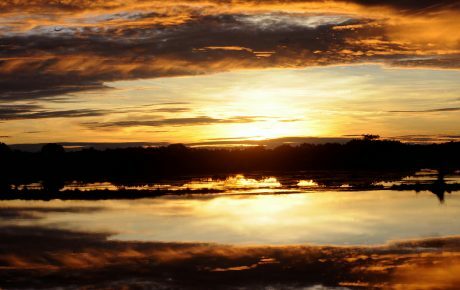 The remote indigenous land Xikrin do Rio Cateté is located 1,000 kilometers from Belém, the capital city of the Amazonian state of Pará. Inhabited by 1,056 people of the Kayapó indigenous ethnic group, the reserve spreads over roughly 439,000 hectares in the cities of Água Azul do Norte, Marabá, and Parauapebas. Xikrin do Rio Cateté is also home to hidden and valuable mineral reserves—highly coveted both by big mining companies and illegal prospectors. Brazilian mining giant Vale has a concession to extract copper, gold, and manganese in the region, which puts the company constantly at odds with indigenous groups. In 2015, a professor at the University of Pará measured the presence of heavy metals in the waters of the Cateté River, finding levels of contamination 30 times higher than the limits established by environmental agencies. 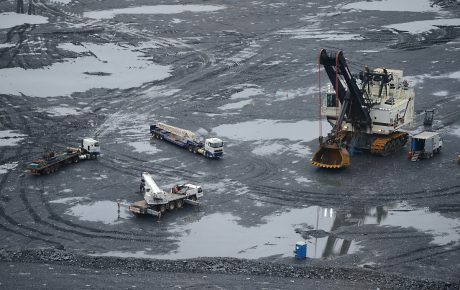 These findings corroborate accounts by local indigenous people—who have reported cases of skin and eye problems, as well as a decrease in fish stocks, ever since a Vale subsidiary started extracting nickel there in 2010. This, however, is hardly an isolated case: socio-environmental conflicts related to mining operations are on the rise in Brazil. 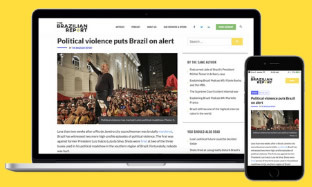 Latentes, a journalistic project to map conflict areas in Brazil, backed by the national fund for human rights, found that there are at least 428 latent disputes involving mining companies, quilombolas (traditional slave communities), and indigenous peoples in Brazil. Of this total, 245 are found in indigenous reserves, while 183 are in quilombos—secretive communities made up of the ancestors of runaway slaves in the West’s last country to abolish slavery. The mapping crosses data from Funai, the national indigenous affairs agency, the Palmares Foundation, which regulates quilombos, and data from active mining concession contracts signed by the National Mining Agency. When taking a broader perspective—including settlements created by land reforms, protected natural areas, and conservation units—the risks explode: there are at least 4,536 areas with a real possibility of conflict due to mining activities. Most cases are found in the Northeast region—due, to a large extent, to the elevated number of settlements created by land reform initiatives which neighbor mining reserves. 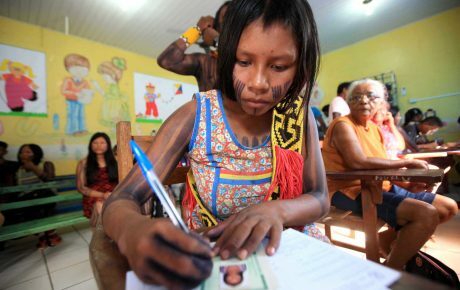 Indigenous peoples are not on President Jair Bolsonaro’s list of priorities. Right after taking office, Mr. Bolsonaro snatched the power to identify, evaluate, and demarcate indigenous territory away from Funai, and handed it to the Ministry of Agriculture, which is controlled agribusiness lobbyists and landowners. What is left of Funai will be presided over by General Franklimberg Ribeiro de Freitas, who not long ago was working for mining company Belo Sun, and was responsible for getting the firm a permit to mine for gold close to an indigenous reserve in Pará. Gen. Freitas’ condition to accept the job was the permission from his superiors to change the entire board of directors of the institution, bringing in his own people. “When the federal government announces measures to weaken agencies of protection of indigenous peoples or monitoring of protected areas, we feel it in the field work. Tensions are mounting because elites in remote places—such as cities with illegal gold-digging sites or even authorized mining projects—are raising their tone, abusing and provoking indigenous groups, small producers, and quilombolas,” warns Charles Trocate, member of the MAM organization, a group that advocates for the rights of local communities against mining corporations. This reserve was authorized by the Supreme Court 13 years ago, in 2005. After Mr. Bolsonaro’s remarks, former Chief Justice Carlos Ayres Britto stated that the ruling could not be reexamined. The land was given to the Ingarikó, Macuxi, Patamona, Taurepang, and Wapixana communities. 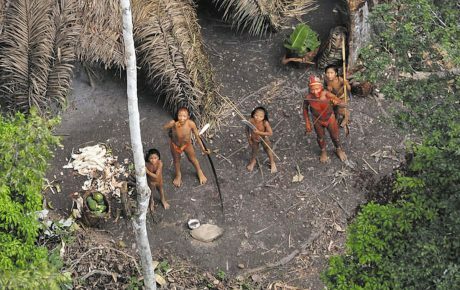 Indigenous lands such as Raposa da Serra do Sol or Xikrin do Rio Cateté illustrate the relationship between mining companies and indigenous people in the North of the country. Today, there are 72 indigenous reserves adjacent to mining projects, making it the region with the highest number of tensions for indigenous communities. The North has vast reserves of diamonds and gold, and also valuable metals, such as copper, iron, and manganese. Mr. Bolsonaro’s administration has also targeted quilombolas. Identical to the demarcation of indigenous territory, the power to regulate quilombola land was also given the Ministry of Agriculture. According to official data, there were 1,695 requests for quilombola land demarcation open for federal regularization in Brazil. Now, all procedures are stuck in a form of legal limbo. 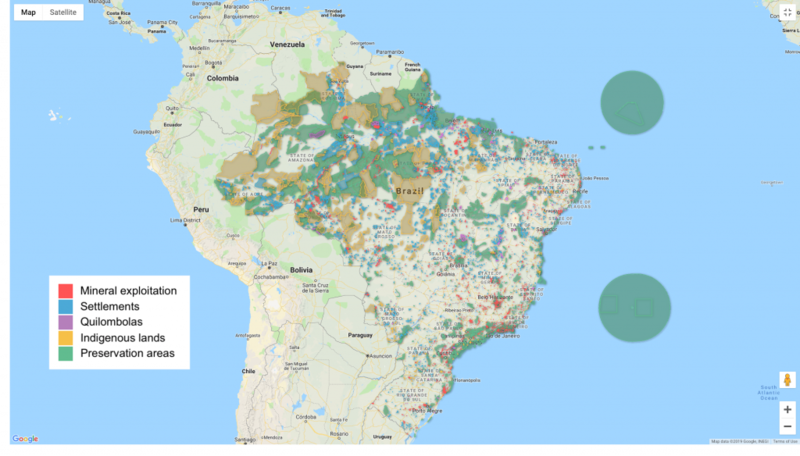 The Northeast has the highest number of potential conflicts between mining initiatives and quilombolas, with a total of 74. If we look for quilombos waiting for federal land regularization, the state of Maranhão stands above the rest, with 399 communities depending on land recognition titling by the federal government. The best-known case is around the railroad Ferro Carajás, used by Vale as part of its iron ore extraction activity in Carajás, Pará, from where the product is transported 892 kilometers to the port of Ponta da Madeira, in São Luis, Maranhão. Over the route of the railway, Vale is accused of causing severe changes to the local biome — such as the changing the course of igarapés (small streams that connect large rivers in the Amazon), and tension with quilombolas and indigenous peoples, with accusations of activists and opponents being persecuted. “We have felt that land conflicts will become even worse. In previous administrations, even with their problems, there was a possibility and an intention of the government to strengthen regulation and monitoring devices. We do not feel the same inclination now,” says Mr. Trocate. Paes is a journalist and has a master’s degree in communications. 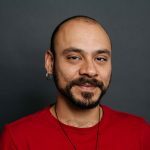 He focuses on human rights, culture, and data surveillance.